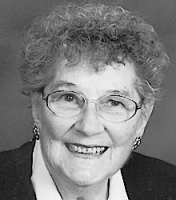 FALL Audrey J. Audrey (Prybylski) Fall, age 84, passed away on Tuesday evening, September 28, 2010, at The Manor at Perrysburg, where she had been a resident for approximately three years. Audrey was preceded in death be her parents, Steve and Hattie (Blachowski) Prybylski, and her husband of 47 years, Vincent Fall. She was a loving wife and mother and was completely devoted to her family and her many friends. Audrey was a lifelong resident of the Toledo Area. She was active in the Altar and Rosary Sodalities of Our Lady of Lourdes Parish and the former St. Jude Parish, holding offices in both organizations. She was employed by the Lucas County Juvenile Court for 20 years, retiring in 1988, to travel with her husband and grandchildren. Audrey is survived by her children, Margaret Ann Zolman, Nancy Luda (Larry Huth) and Larry (Jeanne) Fall; grandchildren, Laura (Rick) Hazlewood, George Maschke, Sarah (Greg) Auchard, Stephen Luda, Kristin Luda, Jenny (Aaron) Schaub and Andy (Stacy) Fall and great grandchildren: Jessica (Orville) Rowe, Kimberly and Melissa Hazlewood, Audrey and Amelia Auchard, Douglas “DJ” and Emily Yockey, and Chelsea, Olivia and Anderson Fall. Her generous and loving spirit extended well beyond her immediate family to include her many in-law families, special “children” and numerous friends, both old and new. She will be remembered with affection by all who knew her. Honoring Audrey’s wishes, there will be no visitation. Family and friends may visit at Our Lady of Lourdes Catholic Church after 10:00am on Friday, October 1, 2010, with Mass of Christian Burial to follow at 11:00am. Interment will follow at Ottawa Hills Memorial Park Cemetery. In lieu of flowers, contributions in Audrey’s name may be made to The Manor at Perrysburg, 250 Manor Dr., Perrysburg, OH 43551. Arrangements by the W.K. Sujkowski & Son Funeral Home. SZCZEPANSKI Lucille C. Lucille Szczepanski, 88, of Toledo, passed away peacefully in her home surrounded by her loving children on August 28, 2010. She was born November 13, 1921 to Hermidas and Dora Dusseau in Toledo. Lucille worked over 30 years as a teacher for schools in the Toledo area, including Little Flower, Stickney and Riverside. She was an active member of Our Lady of Perpetual Help Catholic Church where she was a Eucharistic Minister and was involved in their prayer group. 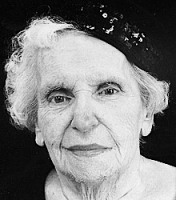 Lucille was also a member of the Salesians and a volunteer of the MCO Satellite Group. Lucille was preceded in death by her parents; loving husband, Daniel; daughter, Denise Shrader; son-in-law, Tom Czlapinski, and 7 siblings. She will be dearly missed by her children, Frank (Vi), Angie Czlapinski, Dennis (Ann), Bruce (Barb), Dorie Lewis and Dawn (Mark) Nowicki; son-in-law, Keith Shrader; 17 grandchildren, 17 great-grandchildren; and one great-great-grandson. Family and friends may visit at the W.K. Sujkowski & Son Funeral Home, 3838 Airport Hwy., on Wednesday from 2-8 p.m. Funeral Services will be held on Thursday, September 2, 2010 at 9:45 a.m. followed by Mass of Christian Burial at Our Lady of Perpetual Help Church at 10:30 a.m. Interment will follow at Mt. Carmel Catholic Cemetery. Memorial tributes can be directed to Hospice of Northwest Ohio.